Massage chairs have stepped up the relaxation game! Now you don’t need to worry about making an appointment or paying insane amounts of money for you to get some relaxation. Along with being a great alternative to seeing a masseuse, they also have several benefits. They reduce pain. Relieving pain is one of the core reasons why massage chairs were introduced. If you’re experiencing back pain, massage chairs are able to target where it is and help alleviate the pain, along with soothing any sore muscles. They relieve stress. People can become overwhelmed with what’s going on in their lives, it happens to everyone. Massage chairs are here to help you relieve that unwanted stress. Bonus: By using massage chairs to relive stress you are also able to help control blood pressure. They increase blood circulation. Tense muscles can cause your blood flow to be restricted. Using a massage chair can help release muscle tension and promote an increase in blood flow. 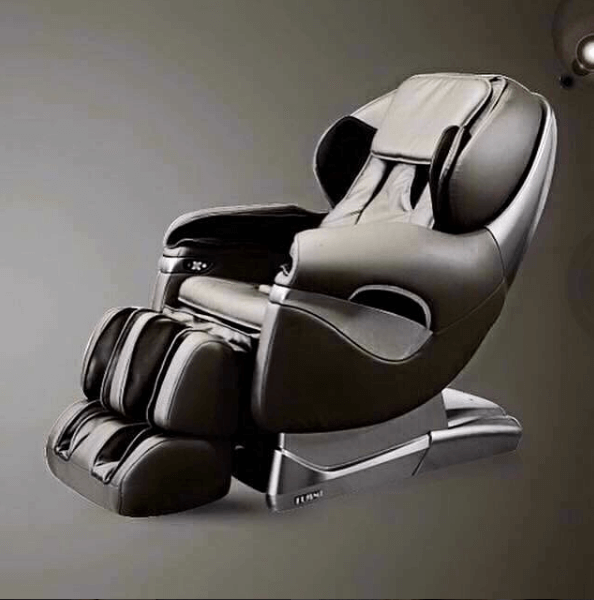 Here at Sundays Sun Spa Shop, we offer one of the best massage chairs, the Zero Gravity Massage Chair. Along with the benefits that all the other massage chairs offer, the Zero Gravity Massage Chair gives you more. Provides maximum relaxation to the neck and back. The Zero Gravity Chair is designed to relieve all of the tension that strains your neck and back. You sit in a neutral position that frees your spin from the pain of gravity. Muscle Relief. It’s rather ironic that even when we try to relax just by sitting on the couch, we’re actually applying pressure to our lower back. When using the Zero Gravity Chair, you’re positioned to where the muscles in your lower back are able to release this pressure. Expands the Lungs. The Zero Gravity chair design allows your diaphragm to expand, which increases oxygen intake. Creating deeper breathing which allows for better blood flow and distributing more oxygen to your body. Affordable. Not everyone has the luxury of seeing a professional masseuse, but Zero Gravity is an excellent way to get that professional touch without breaking a budget. No reservation is needed for you to enjoy this luxurious massage chair. Visit any Sundays Sun Spa Shop to get rid of any unwanted stress.